Political instability is nearly always accompanied by fuller prisons, and this was particularly true during the “long” Second World War, when military mobilization, social disorder, wrenching political changes, and shifting national boundaries swelled the ranks of the imprisoned and broadened the carceral reach of the state. 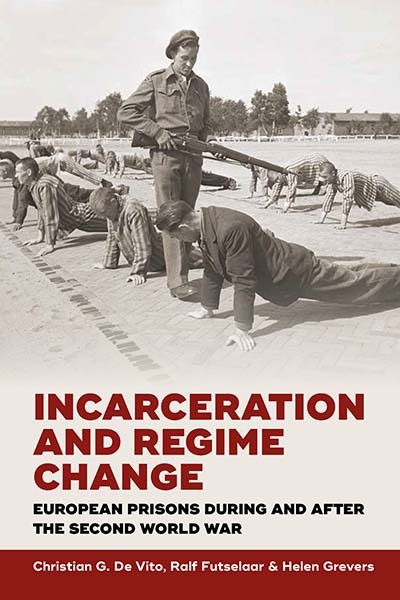 This volume brings together theoretically sophisticated, empirically rich studies of key transitional moments that transformed the scope and nature of European prisons during and after the war. It depicts the complex interactions of both penal and administrative institutions with the men and women who experienced internment, imprisonment, and detention at a time when these categories were in perpetual flux. Christian G. De Vito is Research Associate at the University of Leicester. He has published extensively on the social history of prisons, convict labour, and prisoners’ movements. Ralf Futselaar is a social historian of violence. He has published on the history of malnutrition, war-related mortality, war traumas, black markets, colonial soldiers, violent women, forced labor and imprisonment. He is currently a researcher at the NIOD Institute for War, Holocaust and Genocide Studies and a lecturer at Erasmus University, Rotterdam.